Back in 2010 I made a list of 99 things I learnt that year. This is that list. Take a camera everywhere, you never know! 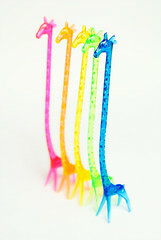 Giraffe give out free miniature multi-coloured giraffes. You can and should abuse this. 5, 8, 9, 10, 12, 15, 16, 18, 25, 28, 34, 35, 40, 42, 45, 48, 54, 86, 89, 94, 95 – funny/sooo true/I can relate to. Nice list!